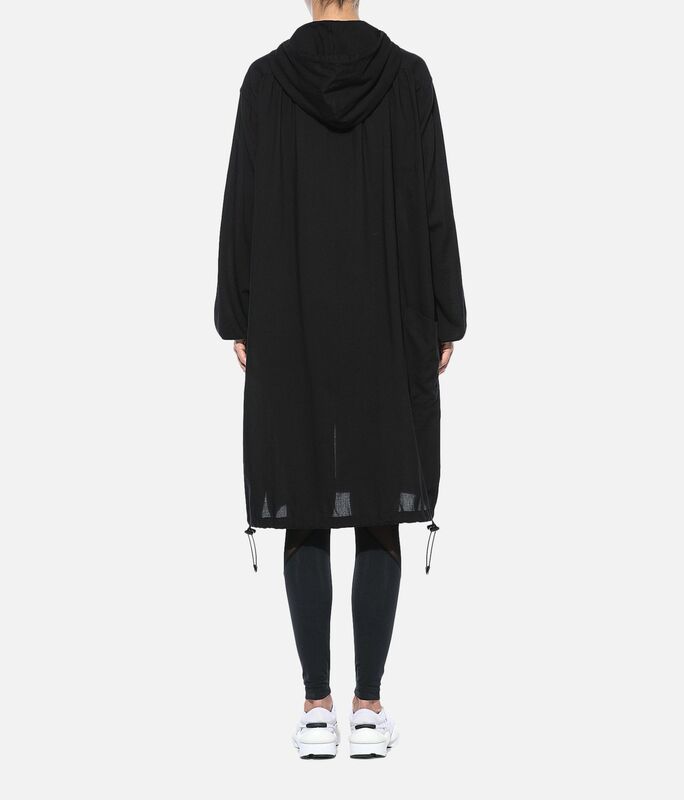 This season Y-3 is inspired by the volume and lift of billowing sails and parachutes. 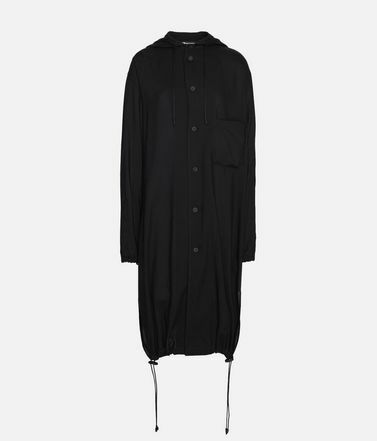 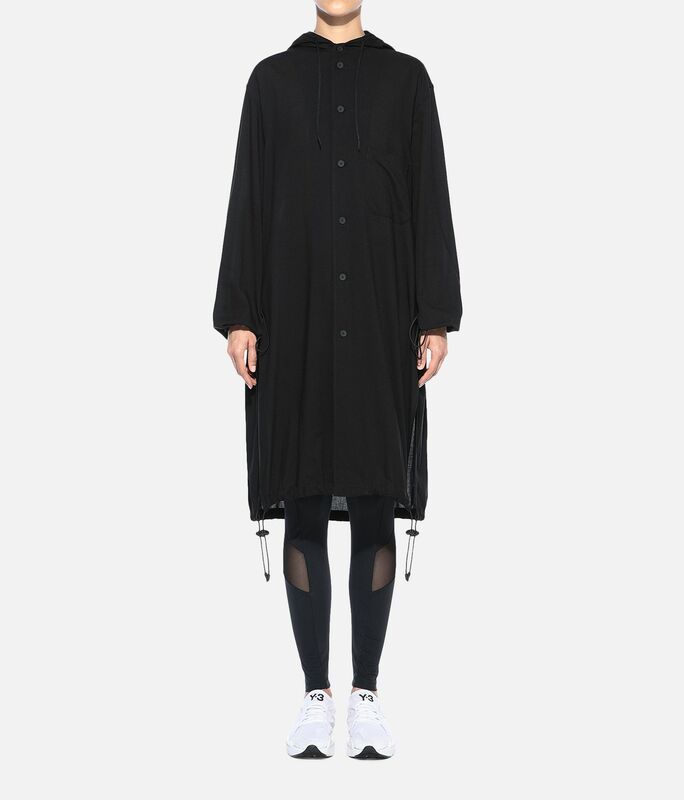 The Hooded Long Shirt is made of cotton-blend shirting with a light, crisp look and feel. 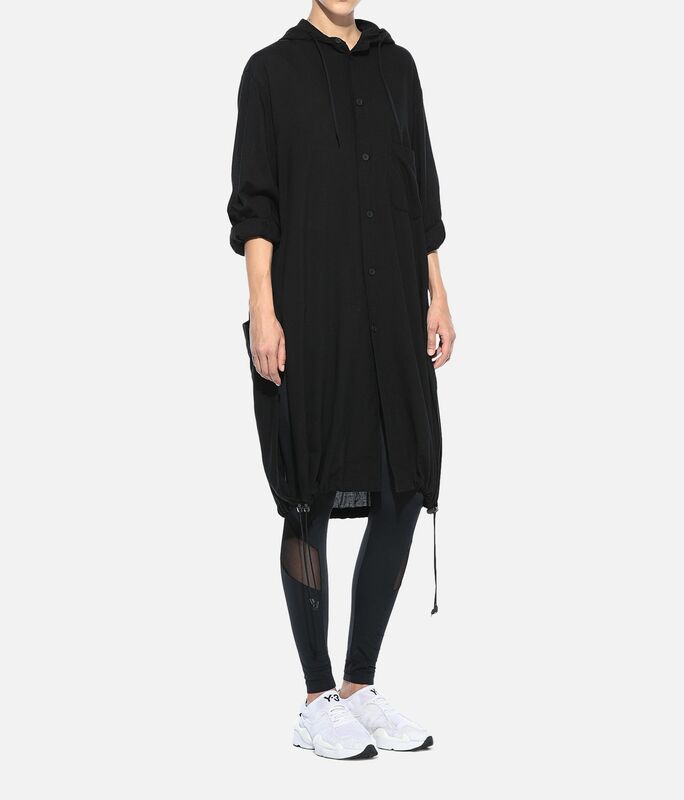 Elastic bungee details at the hem allow you to adjust the shape. 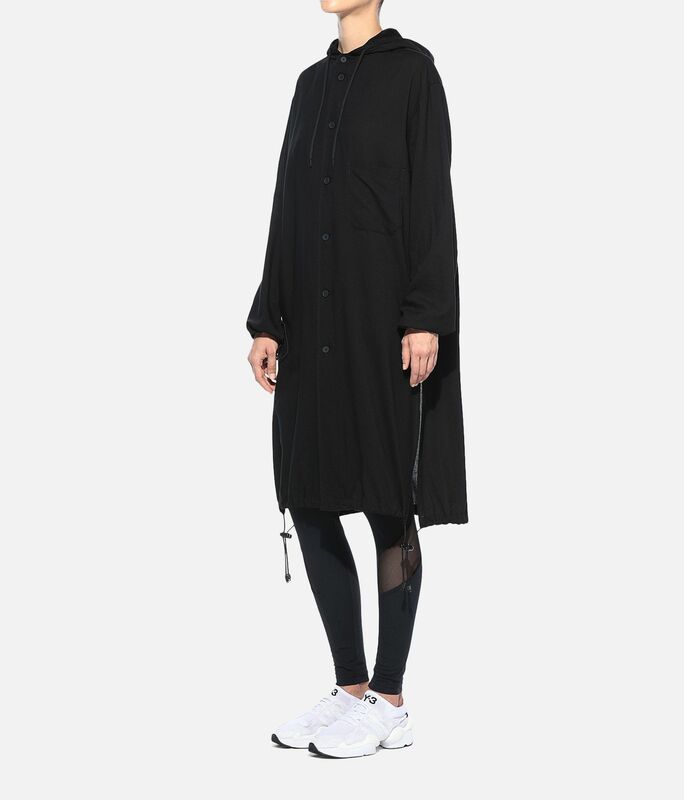 Chest and back patch pockets.Button-down front; Drawcord-adjustable hood.Drawcord-adjustable hem.Y-3 logo on back.Care instructions: Gentle machine wash cold, iron low, do not iron print.Oversize fit.53% organic cotton / 47% lyocell plain weave.